KOKOKO! are a brilliantly unique proposition: a collective born in Kinshasa, the capital of the Democratic Republic of Congo, a creative collision of different artists which fused at a block party. It consists of musical instrument inventors from the Ngwaka neighbourhood, electronic producer débruit, Makara Bianko (aka the Lingwala devil) and his dancers bursting forth from the Lingwala neighbourhood. 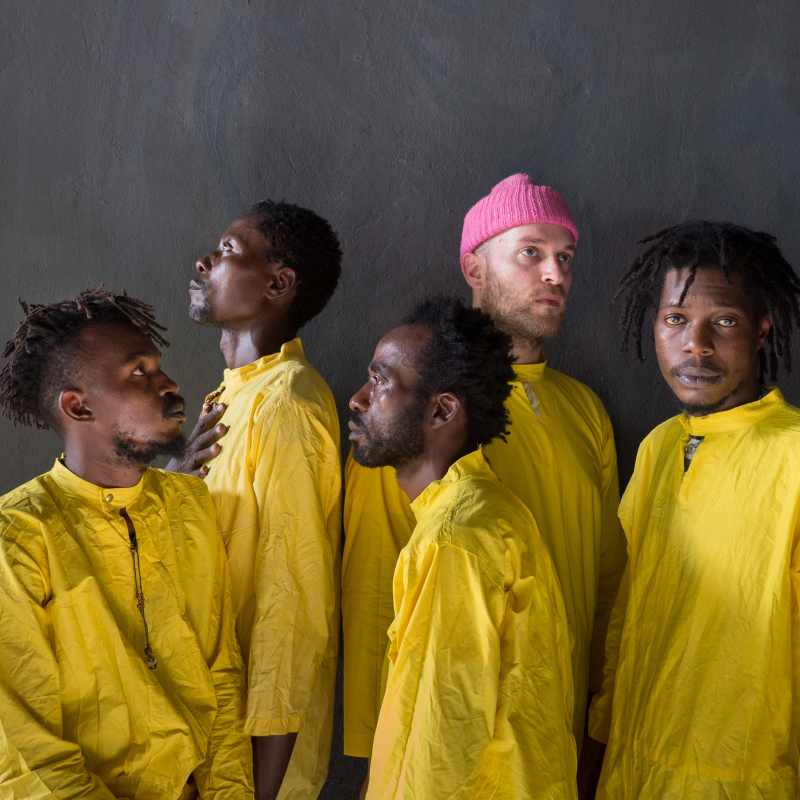 They’re best known for creating a contemporary aesthetic all their own by rewiring and up-cycling materials such as metal, cans, engine parts and plastic containers found in Kinshasa’s streets into vital sculptural resonant dance music. Their distorted fast rhythms and spontaneous lo-fi electric sounds provide the chaotic soundtrack for the city’s harsh yet abundantly creative realities.